Reach week is our one-week invite blitz inviting our community to Easter at the Phillips April 21st! 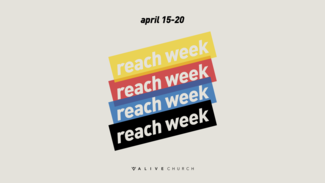 Reach week is April 15th-20th! Sign up for however many you'd like and we'll see you at one of our meet up spots! I won’t be able to come. We all have the plague at our house. Started this am. I’m sorry.